The follow up to the favourably received "Seal of Time" (CD LR 566) released by Leo Records six months earlier. The difference, however, is that all five compositions on this CD were recorded by a trio: Oleg Udanov - drums and percussion, Igor Ivanushkin - bass. 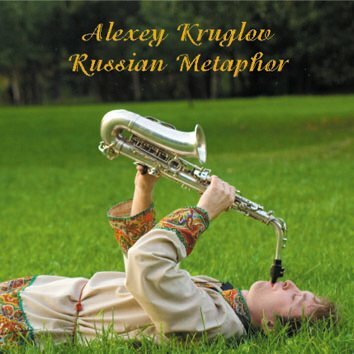 Alexey Kruglov plays huge array of istruments - soprano, alto, tenor & bariton saxes, clarinet, bassett-horn, flutes, bassoon, oboe, piano and some more. All five pieces by Alexey are meticulously structured. He is a major talent who continues to develop the tradition started by the Ganelin trio.